Tony Fletcher has been a dominant presence in the Longboat Roadrunners since year one – a six foot seven inch presence. The man known as ‘Too Tall’ to some and ‘The Voice’ to some is also known to many members as the ‘Godfather of the Island Race’ for his tireless efforts to make the race a success year after year. It’s hard to miss Tony Fletcher when he makes an entrance. His sheer physical size dominates any space he occupies, but even if you can’t see him (unlikely), his voice is still the biggest presence in the room. Ah, that voice – even to runners who don’t know his name, Tony’s voice means Race Day – “shed your sweats”, “check your bag”, “check your shoelaces”, “make your way to the starting line” and “listen to the countdown”. Tony originally comes from a background in theatre, starting at the University of Ottawa with studies in drama, then Toronto and New York City. He was part of the Canadian theatre explosion in Toronto and Edmonton (Alice Through the Looking Glass playing towering Tweedledum) in the 1970s. Tony expanded his reach into radio where a station director christened him with the lasting nickname ‘Too Tall Tony’. When working at CJOY radio in Guelph back in the early 80s, the race director of the Billy Taylor Memorial Road Race Alan Brookes asked him to host the awards ceremony – the beginning of Tony’s race announcing career. 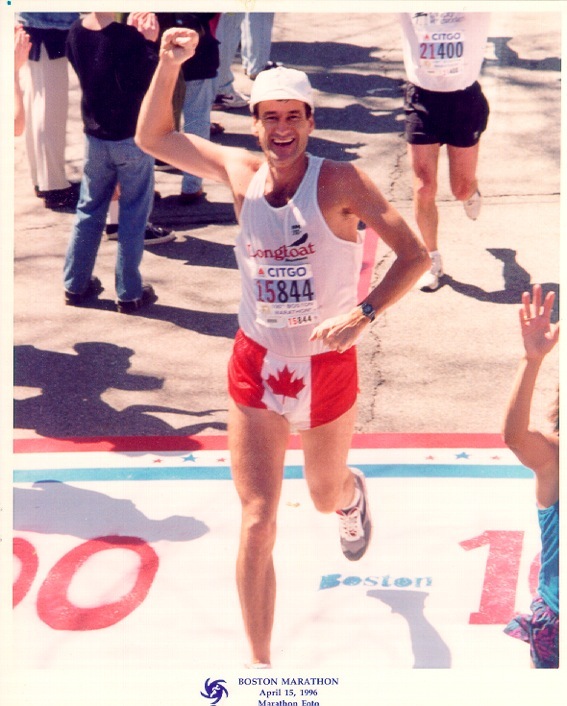 Alan was teaching at the University of Guelph at the time and would later establish the Canada Running Series. 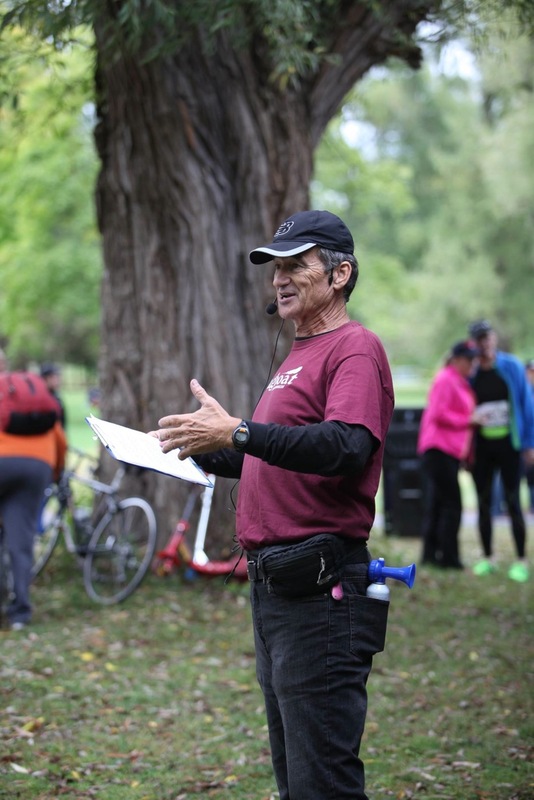 Tony has been part of the CRS announcing team since the beginning and has been the voice at numerous races over the years including, of course, our very own Longboat Toronto Island Run! Like some of us, Tony soon jumped into running the marathon, with, shall we say, a minimum of preparation. In his first marathon, in Ottawa, he paid the price by the 20 mile mark, with legs turning into concrete but to his credit, he finished. Tony learned his lessons and the next year again ran the marathon, breaking three hours. Tony’s next advance in running came shortly after when he joined a brand new running club called Longboat Roadrunners and came under the coaching tutelage of Bert de Vries. Results came quickly with Tony finishing the ’82 Ottawa Marathon in 2:48:08, qualifying for his first Boston Marathon (’83 – 2:48:11). Altogether, Tony has run 27 marathons (including 7 Bostons) with a PB of 2:46:48 (Ottawa, again). When training for the ’84 Boston Marathon, Tony developed the now infamous “Boston Special”. The original 20 mile route map from Settlement House is on the “Resources” page of the club website. as race director and made the race into a class A event. He has become the ‘go to’ person about race matters since. Tony is one of a kind, not the sort of person you would make up. He has been a supporting pillar of Longboat Roadrunners since the club’s inception back in 1981 and is still deeply involved in the race scene.